So you’ve heard about the Farm to Table, but have you heard about the Seed to Table? Instead of buying fresh veggies from your local farmers market, why not grow them yourself? 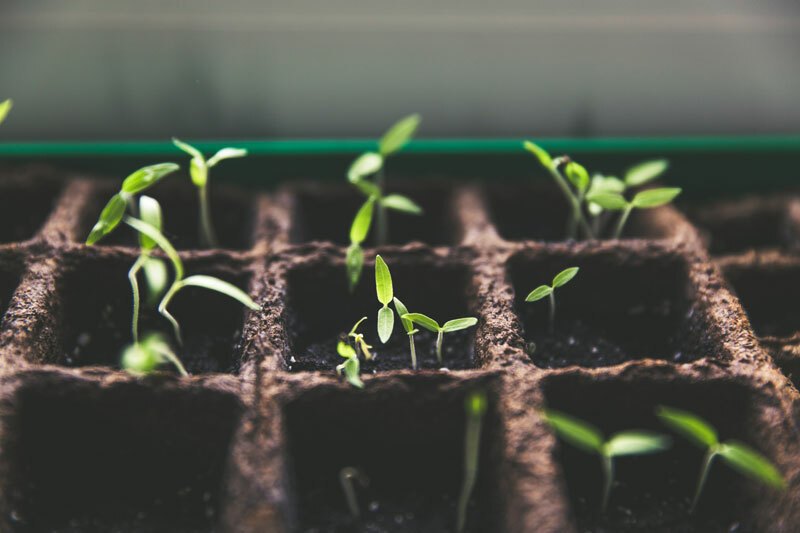 Although the thought of starting your own veggies from seed for the first time may give you some anxiety, it’s not as difficult as you may think. All you need are a few basic ingredients and you’ll have a recipe for success! Why start my veggies from seed? While most vegetable plants are readily available at your local nursery or greenhouse, they typically only carry a limited selection of varieties. By purchasing your own seeds, you have control over which varieties you grow. Not only can you extend the season of cool season crops, but you can also get a head start on growing warm season crops. What do I need to start my seeds? Use a soilless media, a potting mix that doesn’t include soil, but has a variety of organic and inorganic materials, as it’s best suited for growing in containers. Plants grown in soilless mixes are also less likely to be bothered by pests or face the threat of soil-borne diseases. At the Garden, we use a product called Fafard® 3B mixed with a slow-release fertilizer, Osmocote®. Purchase pre-made growing kits or reuse containers (old flowerpots, sour cream containers, paper cups, egg cartons, etc.). Make sure containers are clean (sterilize with a 10% bleach solution) and have drainage holes. A sunroom or south-facing window provides the best light. Seedlings need 6-8 hours of direct sunlight or 12-15 hours of supplemental lighting (ex: an overhead shop light). Insufficient light leads to tall, leggy plants that won’t transplant well. Seeds need some amount of heat to germinate. Use heat mats, a warm windowsill or the top of the fridge. Water helps seedlings germinate and grow. How do I plant my seeds? Fill your container with moistened soilless media. Plant seeds according to the directions on the seed packet. Most seeds like to be planted 1-2 times as deep as they are wide. For small seeds, cover with a dusting of fine grade vermiculite. Don’t forget to label which plant is growing in which container with craft sticks or small plastic label stakes. Water seeds with a fine mist and keep the soilless media evenly moist until germination occurs. Cover the container with a clear plastic lid or plastic wrap to keep the growing environment humid. Once seedlings have emerged, remove the cover. Place planted containers on a warm growing surface. 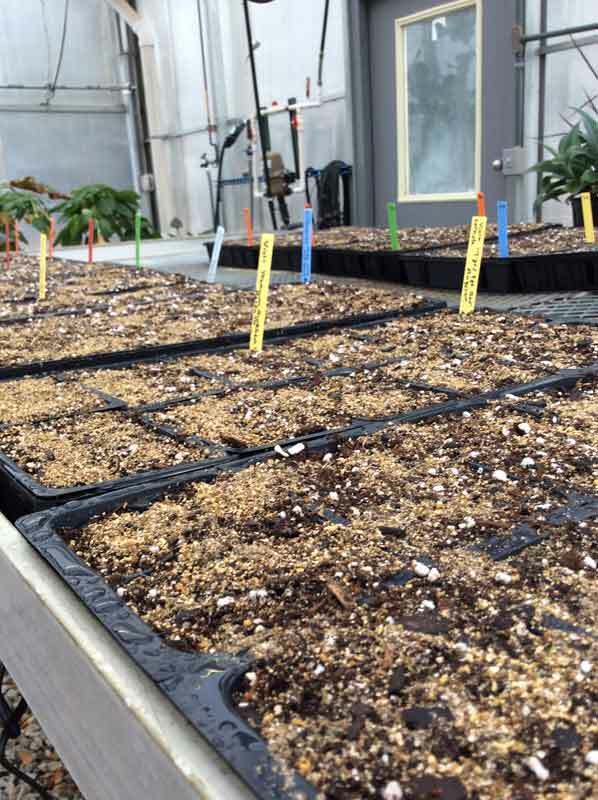 Once seedlings have emerged, remove from heat and move into a cooler room. Make sure the room receives at least 6-8 hours of direct or 12-15 hours of supplemental light per day. When do I start my seeds? Because there are so many vegetables and hardiness zones, use a calendar like the one found on the Old Farmer’s Almanac website and search by zip code to find the most accurate start dates for your region. Based on our USDA Hardiness zone of 5a, most cool season veggies such as lettuce, cabbage, kale or onions can be started indoors in March. Peas, carrots, radish, beets, lettuce or spinach can be directly sown outdoors in late April to early May while the soil is still cool. Most warm season veggies like peppers, tomatoes, cucumbers, herbs, squash or pumpkins can be started indoors in April. 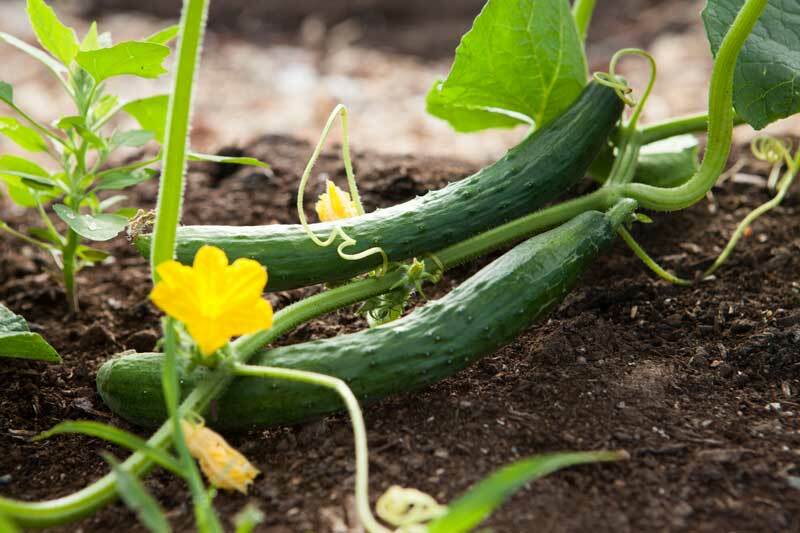 Corn, zucchini, cucumbers, squash and pumpkins can be directly sown outdoors in late May to early June, once the soil is warm. Warm season veggies won’t grow in cool soil and most benefit from an early start because they require a long growing season to set fruit. For example, if we waited until the soil warms in late May to early June to plant tomato seeds outside at the Garden, we may get fruit to set by the end of the season but would likely encounter a killing frost before the fruit ripens. So, we start our tomato seeds early indoors to give the plants the best chance to set fruit that will ripen and be ready for harvest by the end of the season. It’s never too early to start planning your vegetable garden for the next year. Make a list of all your favorite recipes and grow all your ingredients right at home and share anything in abundance with your neighbors or local food pantry. You’ll quickly discover how amazing it is to see a tiny tomato seed transform into your favorite spaghetti sauce! Sign up for Lindsay’s Seed Starting 101 class on Tuesday, March 19 from 6-7:30 pm for an in-depth workshop on starting your own plants! For more information on seed starting, check out our how-to video below.